Matt’s practice focuses on permitting and litigation matters involving federal and state natural resource and environmental law. He has over 20 years’ experience representing utilities, ports, owners and operators of hydroelectric projects and other energy projects, and state and local governmental entities on issues pertaining to the Clean Water Act (CWA), Endangered Species Act (ESA), National Environmental Policy Act (NEPA), Federal Power Act, Magnuson-Stevens Act, Coastal Zone Management Act, and Indian law. 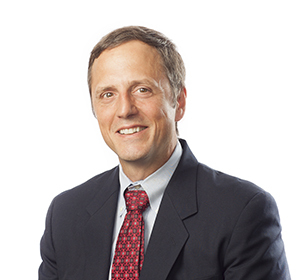 Prior to joining Van Ness Feldman, Matt served as a trial attorney for the U.S. Department of Justice where he defended federal agencies in litigation involving the ESA, the Magnuson-Stevens Act, the Marine Mammal Protection Act, and NEPA. In addition, Matt was an Assistant Attorney General for Washington State where he represented the State of Washington and the Washington Department of Fish and Wildlife in natural resource litigation and other matters involving the ESA, fisheries, water, and Indian law issues. Matt is a member of Van Ness Feldman’s Executive Committee. Provides the City of Tacoma with relicensing and litigation counsel, for the 131 megawatt (MW) Cushman Hydroelectric Project, resulting in an historic settlement of one of the longest lasting relicensing cases at FERC as well as the settlement of a federal court lawsuit involving a damage claim by the Skokomish Indian Tribe. Counsels Roza Irrigation District on all aspects of federal and state environmental permitting and use authorization for a proposed floating pumping plant located within the boundary of the U.S. Bureau of Reclamation’s Kachess Reservoir. Represents the Port of Kalama, co-applicant with Northwest Innovation Works, in the development of a methanol manufacturing plant, new dock and marine transfer facility, and other associated process elements. Work includes overseeing the environmental review and all aspects of federal, state, and local air, water and land use permitting, including Section 10 and 404 permits, and ESA and NEPA compliance. Counsels clients on ESA compliance and litigation issues, including listing, critical habitat designation, consultation, and reintroduction of listed species. Provides Snohomish County Public Utility District with relicensing and compliance counsel for the 111 MW Jackson Project, Admiralty Inlet Project, and other hydropower projects. Provides Alaska Energy Authority with licensing counsel for the proposed 600 MW Susitna-Watana hydroelectric project. Provides the Confederated Salish and Kootenai Tribes with licensing and compliance counsel for the 190 MW Kerr hydroelectric project. Advises and counsels on CWA Section 401 certifications, the ESA, the Coastal Zone Management Act, the NEPA and Indian law matters for hydroelectric projects and on ESA and NEPA matters for wind and pipeline projects. As a pro bono matter through the Northwest Immigrant Rights Project in 2016, successfully represented a Cameroonian woman seeking asylum for human rights violations. Presenter, "Environmental Case Law Update"
Co-presenter, "Hydropower Litigation Update," and Panelist, "Tidal Energy Proposals"
Co-presenter, "Environmental Case Law Update"
"Mandatory Conditions – Overview of FPA Section 4(e) and 18 Conditions and Other Federal Conditions"
"National legislation and litigation update"